For the past two decades, the Anglo-American has been the frontman of Spottiswoode & His Enemies, a septet that has become a New York institution. With the band, Spottiswoode has released seven acclaimed records, performed numerous Manhattan residencies, and toured extensively from SXSW and Lille Europe to Lincoln Center. The band’s gothic rock opera, ABOVE HELL’S KITCHEN, was presented in 2010 to sold-out crowds at the New York Musical Theatre Festival. In addition to recording with his Enemies, Spottiswoode has also released three solo albums and a duo collection. His songs have been featured in a wide variety of films and television shows. He has been nominated for five separate Independent Music Awards, winning Best Adult Contemporary Song in 2012 for his piano ballad, Chariot. 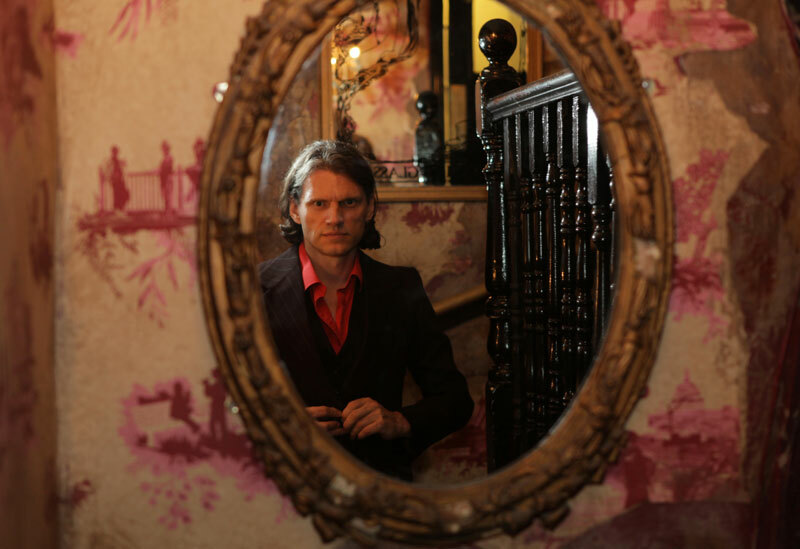 Spottiswoode’s music travels the gamut, drawing comparisons to Leonard Cohen, Ray Davies, Nick Cave, Tom Waits, Randy Newman and Jim Morrison. Still, he’s very much his own man. He “evokes real emotions, sometimes different ones in a single song” (Dan Reed, WXPN). “He doesn’t simply sing his songs, he inhabits them. Whether it’s a mesmerizing and hushed lullaby about the pouring rain, a randy cabaret waltz with winking rhymes, or a galloping noir rocker that builds to a psychotic climax, Spottiswoode draws you in.